Ergo: I will be untangling and untweeting and untexting myself for a while. The Web has begun to use me more than I use it. That’s a problem for anybody – but painful for someone like me who prefers control. I didn’t set out for this. As someone who focuses on our relationship with the Web, I have over time become like an undercover narc who tastes a little too much of the naughty goods. Happens. So this is what I’m going to do. 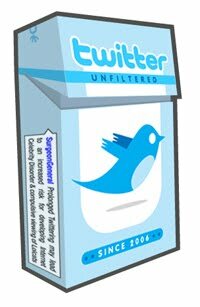 Starting Monday January 4, I will pack the Twitter bird into a cage. I will be defragmenting my brain. I’ve been in need of a break for some time and now works out for me. I don’t care how much it costs me – a day offline for some can be a lot. I’ve got a problem. I got a solution. I won’t abandon Technology – in fact I’m going to use it as part of my detox, which I’ll share with you when I’m back from the dark side of the moon. I’ll tell you what I did and didn’t do and how successful and useful my decision turned out. Hopefully I’ll be able to capture some insights with my methods. I also have the support of a good friend, which is always a wonderful blessing. Buddy systems are very important. Yeah, I know what you’re likely thinking: it’s ridiculous to be addicted to the Web. Frankly, I don’t care what it’s called. I know what I have to do, I’m going to do it and that’s all that matters. You know what’s funny? Back in 2008, I wrote a post – mostly jocular – about Twitter addiction. I look back at that post now and thank myself for blogging: I can now look back and see some things. I’m turning comments off on this post: I generally believe in open comments, but I also believe in two-way conversation. I won’t be able to provide it, so if you want to you can email me and I’ll read later. If you’re new to this blog – you can follow me on Twitter but I won’t check notifications for a while. If you need to get a hold of me you can fill out this form and get back to only if it’s urgent. The Web is a great seduction. It’s also very useful and is a permanent element in our lives. If you’re not plumbing the dark underbelly of what you’re passionate about, then you’re not passionate enough. Technology is something to be passionate about. But passion is wholly different from love. I love you, readers and tweeters. See you soon.